In September 2017 I've been honoured to be invited to deliver a TEDx Talk in the city of Rovigo in Italy. The talks is only in Italian, for now, waiting to be subtitled by the TEDx community. The topic, however, was "The Art of Pretending", how faking to be someone else can help you revealing your true self. 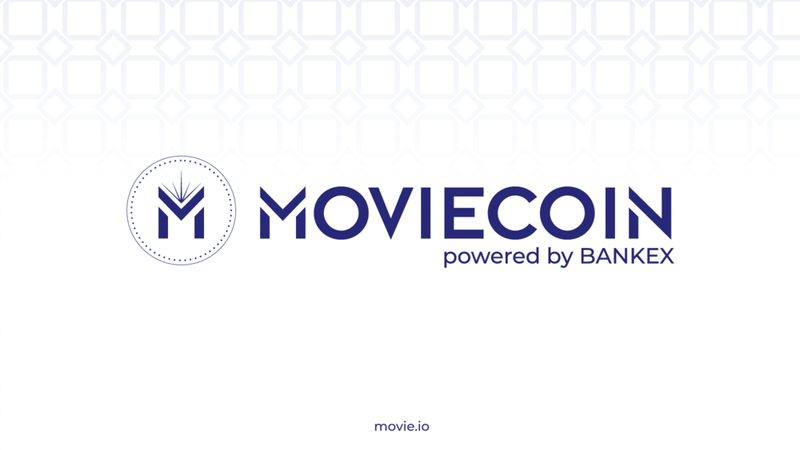 MovieCoin is a project by Bankex, Russians largest fintech company that aims to tokenise access to A list Hollywood movie productions. CEO of MovieCoin is Christopher Woodrow, executive producer of movies such Birdman, Snowden and Black Mass. In MovieCoin I was the Head of PR and Marketing during the Token Sale ended in December 2018. TaTaTu is a social entertainment platform on the blockchain founded by Hollywood based producer Andrea Iervolino. I coordinated all external communications as well as headed the blockchain team during the token sale. NapoleonX is the BlackRock of crypto using AI advisors for real assets investments. I advised the marketing team on community building during their token sale. SingularityNET is the decentralised marketplace for Artificial Intelligence algorithms. Co-founded by Ben Goertzel and Hanson Robotics, the manufacturer of Sophia the humanoid, I was a member of the core team during the initial token sale that raised 36mln USD in 66 seconds. I was responsible for the public relations as well as all external communications of the project. I became a contributor to Wired Italy in 2013. I've been covering a whole variety of topics, including but not limited to: online privacy, internet security, hackers movements and the impact of co-working mentality on London's startup culture. Click on the image to get to my author page on wired Italy. A translated abstract for each article can be provided upon request. For The Guardian I've published a story about TOR and VPN services getting popular in China in order to achieve onine freedom of speech. This was also proven to be a great commercial opportunity for Facebook to break into a new market. Click on the image to read the full article on The Guardian. I've started to do freelance writing for TechCrunch from January 2016 covering a different array of topics, starting with US tech companies investing in Italy. Click on the image to access the full article on TechCrunch. CheFuturo! is the number one blog in Italy for digital innovation. The editor is Riccardo Luna, Italy's Digital Champion and former innovation editor at "La Repubblica". For them I've covered a whole variety of topics, mainly focusing on the impact of new technologies on people's lives from a social and political perspective. Startup Italia is the leading independent information website about Italy's startup scene. It is the reference point for every entrepreneur in Italy. For them I often write about London's Startup Scene. A translated abstract of each article can be provided upon request. TechEconomy is the first publication that gave me the privilege to write on their website. It is an Italian publication focused on the innovation economy. For them I've covered topics regarding London's innovation scene, social & digital marketing, and startups. GlobalWebIndex is what brought me initially to London. They've been brave enough to offer me an internship opportunity and wise enough to offer me a permanent contract. For them I developed the Italian Market starting from zero with no budget and no previous experience. I made Italy the 3rd market globally for GWI using free sources like PR, Social Media, Events and so on. For GWI I also lead the digital marketing effort was also in charge of their global content strategy including blog, social media and media relations. I've headed the marketing efforts for iStarter the first Italian startup incubator and seed investment fund in London. As a Head of Marketing I've managed all their internal and external communications (newsletter, social media, events, collaterals) as well as manage the whole community if stakeholder. This included 65 senior managers & investors, and 16 startups. Seven is a content marketing agency whose main client is Sainsbury's. I've supported the launch of Home Made By You, a Sainsbury's parent website, by implementing the monetization process of native content. Kaplan hired me on a contract basis to launch "Vinci Londra con Kaplan" a contest targeting the Italian market. I was hired with the goal of collecting 500 leads on a months and I achieved over a 1000 with the contest covered by all main marketing online outlets and one Italian major offline publication. I executed a small PR project for BidToTrip and Italian startup based between the UK and Italy. BidToTrip's goal was to gain coverage by relevant media outlets in order to give publicity to their most recent crowdfunding campaign. I got in touch with over 20 relevant publications, managing to get BidToTrip news across all the most relevant media for that specific industry. I supported the organization of ENEL Startup Day in London. ENEL is one of the world's largest utilities company with over 80,000 employees across the globe. I've been the moderator of an extremely successful event where I helped engaging with the London startup community.